If you've been following me for a while, you know how much I love to wear essentials, especially in neutral colors. I'm always looking for great pieces I can purchase to wear time and time again. For me, its all about quality over quantity. I have found that by wearing neutrals and investing in quality essential items, I'm able to mix and match to create more outfits options. During the spring season I especially love finding those items that are versatile to wear with numerous outfits, like jackets. 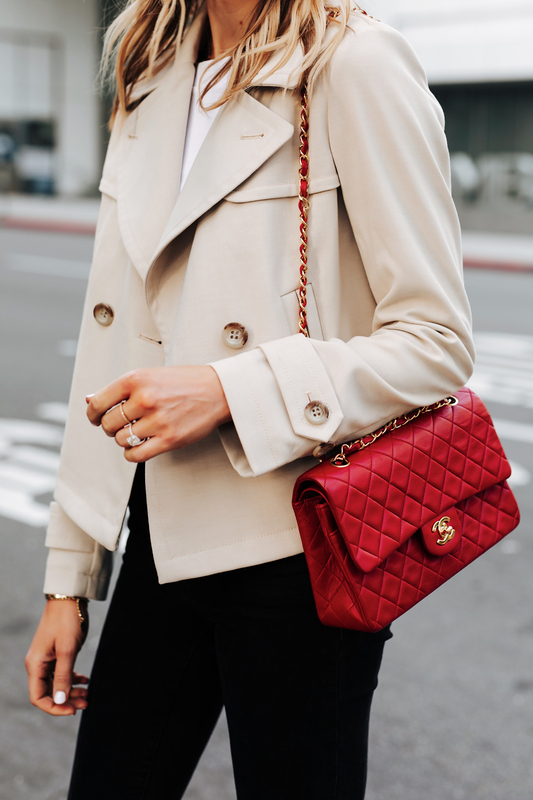 While jackets might not be the first thing that comes to mind when you think of the spring season, they definitely play an essential role in my wardrobe. They are great pieces to have not only for keeping you warm while the weather is still transitioning, but they are great "outfit completer" items. I love layering a third piece to pull a look together; weather its a blazer, cardigan, or light jacket. I recently found this stylish cropped trench coat from Ann Taylor and fell in love! You guys know now much I love my traditional trench coat (see how I styled it a ton of ways here). so I knew this updated cropped trench coat would be the perfect addition for spring. I've linked some more stylish jacket options that are perfect to wear this spring season. I’ve never seen a cropped trench before .. it’s so cool!